The goal of the Junior Leagues’ Kids in the Kitchen initiative, which is supported by The Asso ciation of Junior Leagues International Inc. and its member Leagues, is to empower youth to make healthy lifestyle choices and help reverse the growth of childhood obesity and its associated health issues. 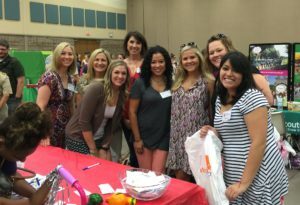 The Junior League of Wichita Falls is proud to support the Kids in the Kitchen initiative. 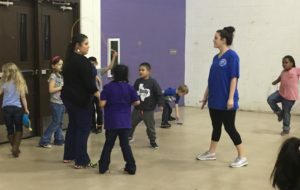 The initiative, which began in 2006, engages kids in the preparation of healthy meals and educates them and their parents regarding nutrition and healthy choices. 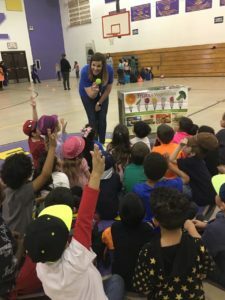 Junior Leagues in more than 255 locations provide lessons and demonstrations related to preparation of healthy meals and snacks in partnership with local community organizations, chefs and nutritionists. The Association of Junior Leagues International provides guidelines and materials to support the success of these educational and motivational activities and supports the program with a website, www.kidsinthekitchen.org. The website includes bilingual recipes, tips on nutrition, fitness and healthy lifestyles as well as an interactive “Kids’ Corner” with an online nutrition game provided by Kids in the Kitchen international sponsor, Cartoon Network. Cartoon Network also provides support for the program®s local activities as well as Public Service Announcements to increase traffic to the website.